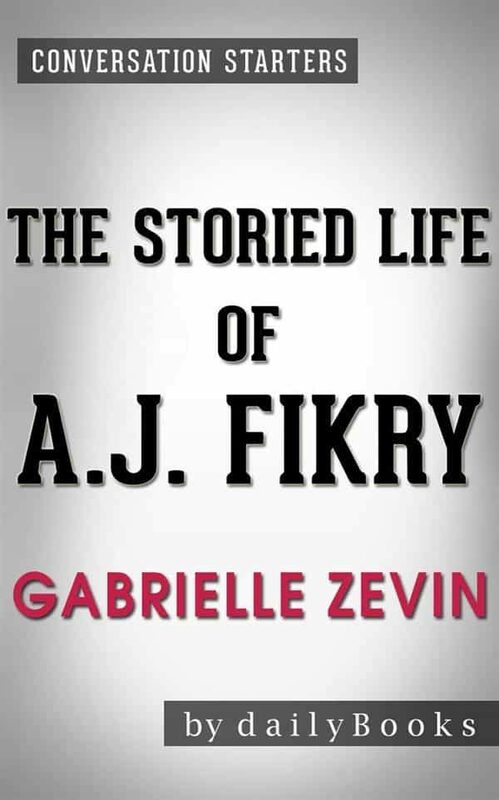 The Storied Life of A. J. Fikry: A Novel by Gabrielle Zevin | Conversation Starters The Storied Life of AJ Fikry&nbsp;is a heartwarming book about a lonely man who finds true love, happiness, and friendship. The story is about AJ, a disgruntled bookshop owner who doesn&rsquo;t care for anyone, including his customers. AJ gradually brings the love of books into the lives of the people on the island where he lives. He develops into a nicer and more dependable person over the years because of the love of a child. The author sets out to show the joy that books can bring into one&#39;s life and the importance of a thriving bookshop and literary culture in a community. A Brief Look Inside: EVERY GOOD BOOK CONTAINS A WORLD FAR DEEPER than the surface of its pages. The characters and their world come alive, and the characters and its world still live on.&nbsp;Conversation Starters&nbsp;is peppered with questions designed to bring us beneath the surface of the page and invite us into the world that lives on. These questions can be used to.. Create Hours of Conversation: &bull;&nbsp;Foster&nbsp;a deeper understanding of the book &bull;&nbsp;Promote&nbsp;an atmosphere of discussion for groups &bull;&nbsp;Assist&nbsp;in the study of the book, either individually or corporately &bull;&nbsp;Explore&nbsp;unseen realms of the book as never seen before&nbsp;.